At Boulevard Chauffeur we are proud to offer the finest quality luxury limo services to our friends and neighbors in the Clarksville area of Austin. We know how important it is to receive quality service and that’s why Boulevard is focused on providing each and every client with a memorable travel experience. When you travel with Boulevard we handle all of your travel details and leave you to relax and enjoy the trip in one of our late model luxury cars. From the moment we first arrive you are offered white glove service and our drivers are focused on getting you where you need to be in style and comfort. Founded by a professional chauffeur with years of experience in the luxury transportation industry, the entire team at Boulevard is determined to provide you with the quality limo services that locals and visitors to Austin deserve. Boulevard Chauffeur proudly offers a wide variety of transportation offerings. Our fleet of modern luxury cars are available for all of your transportation needs. Simply let us know where you need to be and when you need to be there and we will handle all of the details. Your only job is meeting the driver, the rest is handled by Boulevard. 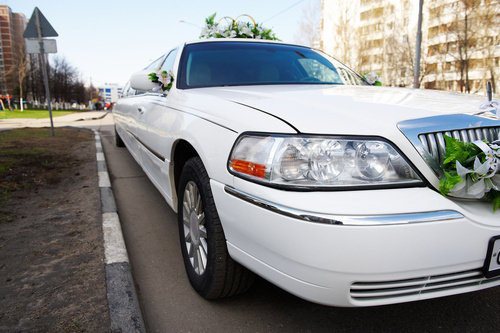 We pride ourselves on offering the highest quality limo services possible. We are proud to offer our premium limo service to Clarksville residents, the luxury transportation and exceptional customer service that they deserve. Look no further than Boulevard for all of your local transportation needs. Contact us today to discuss your quality transportation needs. Whether you need to set up a single trip or arrange transportation for a large conference or wedding, our team is here to help. We will handle all of the transportation details so that you can focus on what’s really important – getting to your destination refreshed, relaxed, and ready to go.